The London Docklands, commonly reffered to as Canary Wharf, is situated in the east of London. It has an exciting history as one of the world’s busiest docks and has endured a huge regeneration project in the last 30 years. Properties in the London Docklands are now desired the world over. The architecture is unlike most London areas, as it has been designed from scratch, helping it become a buzzing business centre. Residential properties continue to be developed in the Docklands as the location boasts great sights, excellent shops and activities to enjoy. The Docklands in an area situated in the East and Southeast of London. 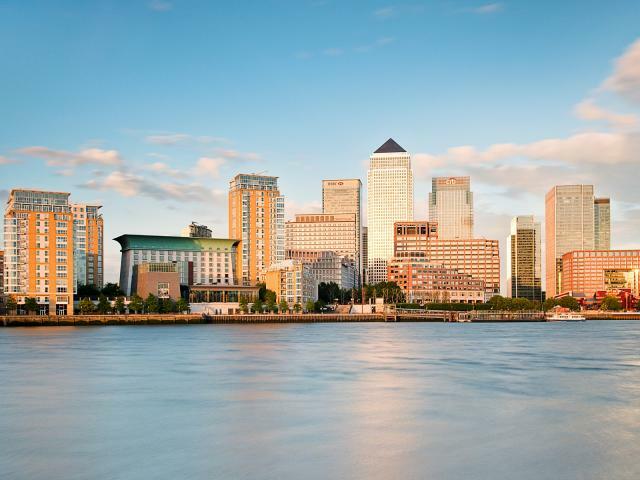 It runs along the river Thames from Tower Bridge down to Woolwich, Canary Wharf and the Isle of Dogs are located in the heart of the Docklands. In the early 1800's, Canary Wharf was classified as one of the busiest docks in the world due to its proximity to central London. The 1900's revolutionised the shipping industry with larger ships and container packs, so the Canary Wharf docks saw a decline in activity as navigation became harder and the infrastructure became unsuitable. By 1981 all the docks in the area were closed, which led to the opportunity of building new developments and properties along the dock lines. Construction began on One Canada Square in 1988, which by 1995 was London’s tallest building. In the last 30 years the derelict wastelands of the London Docks have been regenerated into prime London property and a major business centre. The area boasts some of London's most sought after commercial and residential properties with fantastic activities and sights for tourists and Londoners. With a partially underground shopping centre, scenic views and relaxing restaurants and bars, it's no surprise that properties in Canary Wharf can be hard to come by. But with many new forthcoming developments, Canary Wharf will keep seeing an increase in residents.